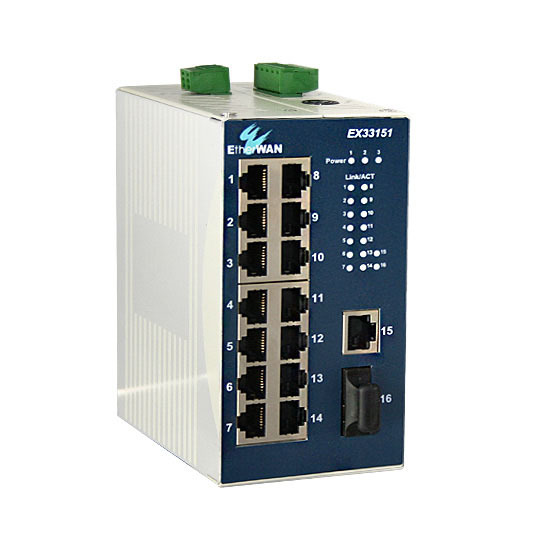 ﻿ Ethernet Switch – EtherWAN – EMC400 – KONČAR Elektronika i informatika d.d. 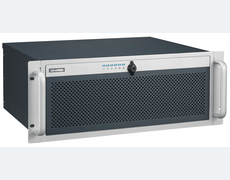 The EMC400, 4-slot Din-Rail mount chassis brings Flexibility, Reliability and Redundancy to mission critical network infrastructures. 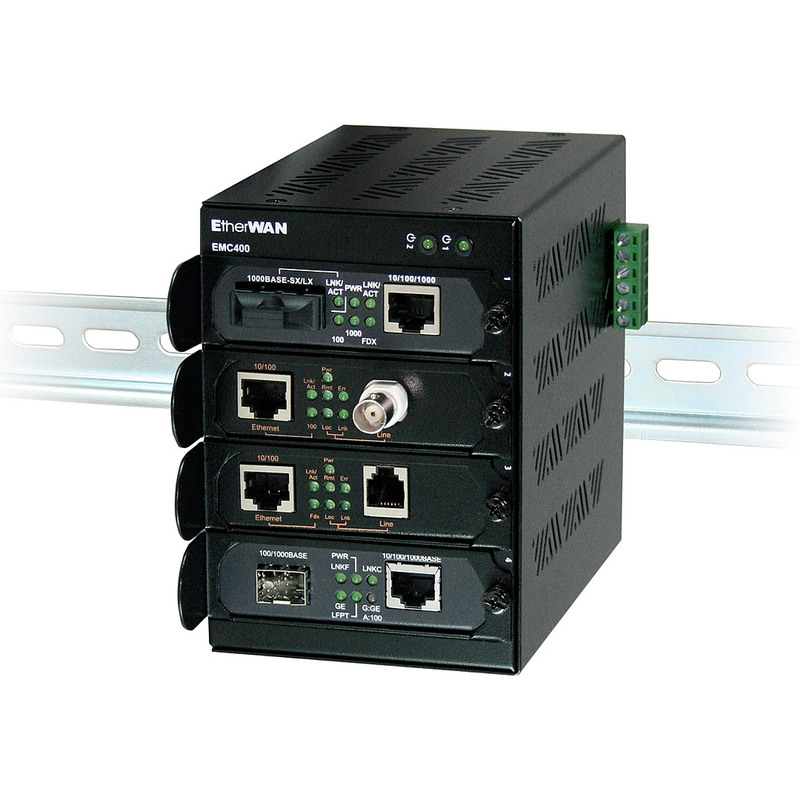 Its flexible design allows for a variety of EtherWAN Media Converters and Ethernet Extenders to be combined into one chassis giving users a solution that fits the needs of each individual network installation. 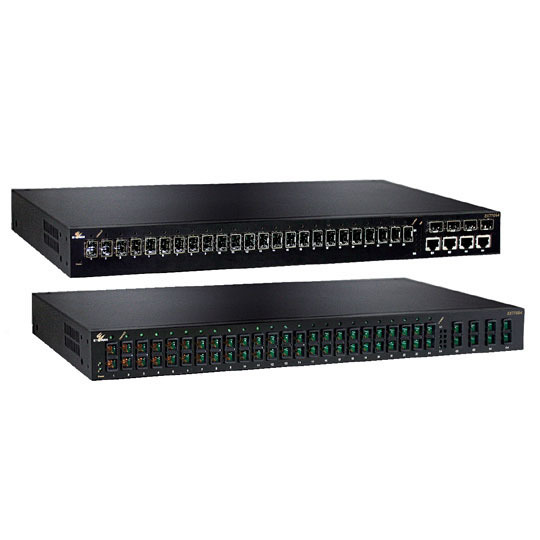 Designed with dual power inputs, the EMC400 allows for two separate power sources to increase reliability and dependability eliminating the single point of failure of a single power source. 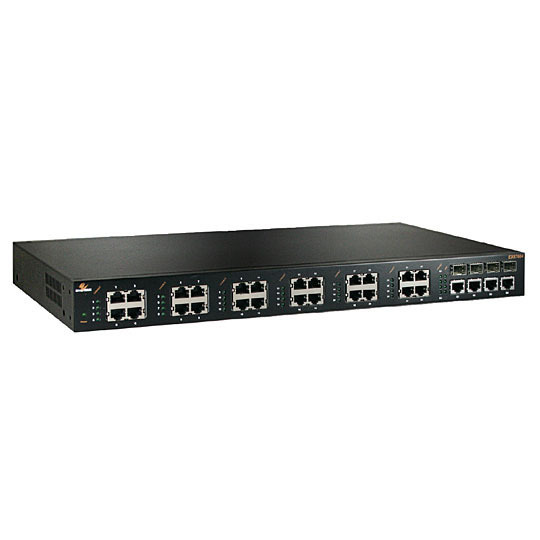 With its hot swappable design, the EMC400 allows existing communications to remain uninterrupted during the simple installation of EtherWAN Media Converters and Ethernet Extenders. In addition, the EMC400 incorporates Electrical Isolation with fused overcurrent protection between devices within its chassis. 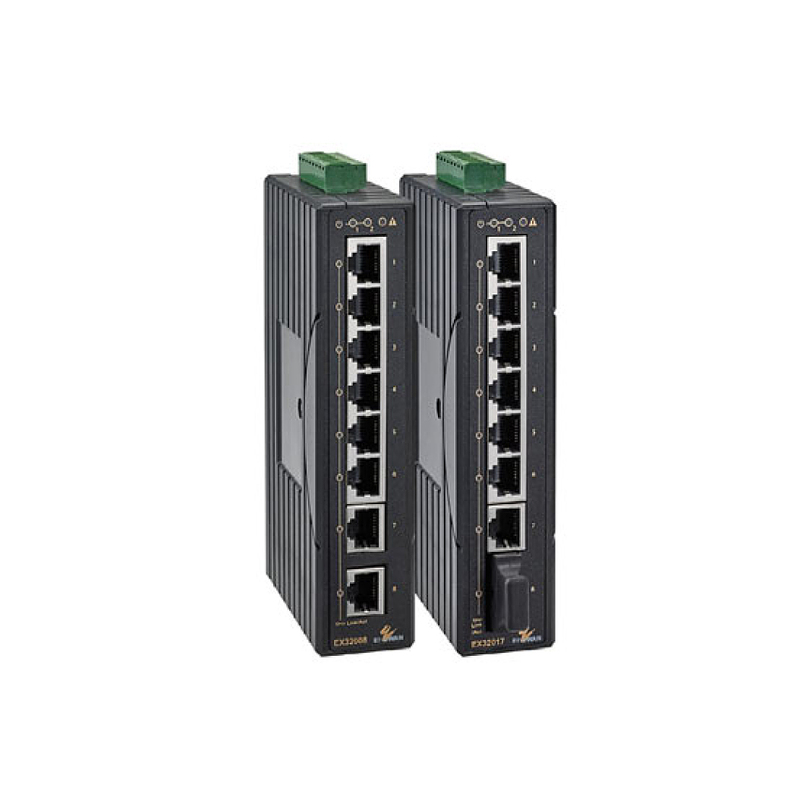 With its solid metal enclosure, DIN-Rail mount design, and hot swappable technology, the EMC400 is the ideal solution for reliably interconnecting separated network media and pushing Ethernet beyond its boundaries. Hot-swappable installation of Media Converters and Ethernet Extenders. 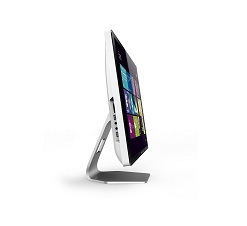 Supports redundant terminal block power inputs. 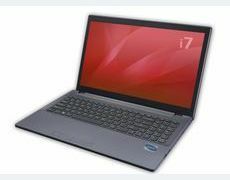 » Supported models include EL2321, EL2211, EL2315, EM1100/EM2100, EM1000/EM2000, EM1000S/EM2000S, EM1020, EM120, EL100/EL200, EL110/EL210, ED3331 and ED3501 series.